Let me set the scene for you. My son throws something on the floor, I calmly and casually ask him to pick it up. He says 'No'! I ask him again, this time sounding slightly more firm but still fairly laid back. He says 'No' again. I then tell him sternly to pick it up. Guess what he says, 'No'! I then loudly tell him to pick it up before he decides to run into another room. Never one to back down and also someone who feels very strongly that when I ask something as a parent, if I don't follow through on seeing it happen, my son will see a loop-hole every time I ask him to do something. So what do I do, follow him. Follow him and take him back to the thing he threw, until he eventually picks it up. Scenario number two, we are at a park. Jonas runs ahead in front of me. That's fine, I can see him and he is safe. 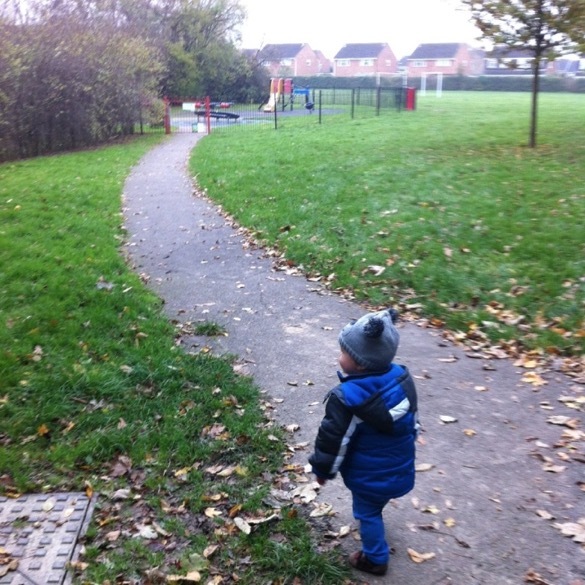 But he gets faster and faster getting a little closer to the edge of the park and making mummy a bit more uneasy. I raise my voice saying 'Jonas stop'. He doesn't, he keeps running. As he is still safe and still in the park I just shout again, this time raising my voice a little more. 'Jonas, stop'. Guess what happens, he doesn't. In fact he starts laughing, thinking this is a game. Oh dear! I shout again 'STOP', but this time running after him as fast as I can as he is getting ever closer to the edge of the park and there is no way I want him making it that far. I chase him, and stop him. Do you see a problem here? I do! The problem is, or should I say, was, my son didn't respect me. On some things he would listen, but on some things, the only way I could get him to listen, was by chasing him, or going to him and getting him to do what I'd asked. So what's the problem with that? Well, for me, apart from the obvious fact that my boy is ever getting faster and I've never particularly enjoyed sprinting across a field, the problem is that he needs to listen to his mummy. This isn't about him stopping when we are at a park and he is perfectly safe, it isn't about him picking up one toy, it's about respect. He needs to respect me. Why, because the park won't always be safe for him to keep running across, or I might not always be able to catch him. This was a problem. It's funny how you hear things and then months or years later you suddenly remember a conversation, getting a revelation you never had at the time. When Jonas was about a year old, I was in Spain with my sister. We were waiting in a large hospital that had numerous corridors. I have always tried to allow Jonas lots of freedom to walk around. So, I allowed him to toddle down various corridors while I of course followed him. The trouble was, he then started trying to toddle into rooms with patients in, so I told him not to, but of course, what was then the one place he wanted to go? The rooms with the people in! Challenging. It challenged me a little at the time but a year later when I was acting out scenario 1 & 2 above, it massively challenged me again! I'm the parent, so I set the boundaries! Was it Jonas' fault that he didn't listen to me? Well initially yes, he was being naughty, but had I taught him the consequences of not listening? Challenged again! So, we were at home a few weeks back and I decided we needed to work on this. My boy ran off into the kitchen, I was in the lounge, I asked him to come back. He didn't. I asked him again, this time more firmly. He didn't. So I sternly raised my voice but not shouting or moving, telling him I would count to three, and if he didn't come back, I would put him on the 'think it over spot'. He didn't. He went on the spot for 2 minutes. That same week I probably had to do this three times with him, and then something changed, when I said stop, he stopped. When I said come back, he did. And on those times when he didn't, I'd usually only have to count to two before he came back. Did he respect me? He loved me, but I don't know if he respected me. Perhaps I'd never taught him to, or set those boundaries. Does he now, yes. And I can tell you, I feel such achievement. Knowing he will listen is great. But knowing he will listen when it really matters, at the edge of a curb, or at a busy park, is essential. What amazes me is the countless times over the last year that I have been chasing my son in order to get his attention, and I wonder if I had changed my discipline, or tried a new strategy earlier, whether it would have made my life a whole lot easier! Using the counting to three technique was so simple, but has been massively effective, and will continue to be, perhaps more than I realise. 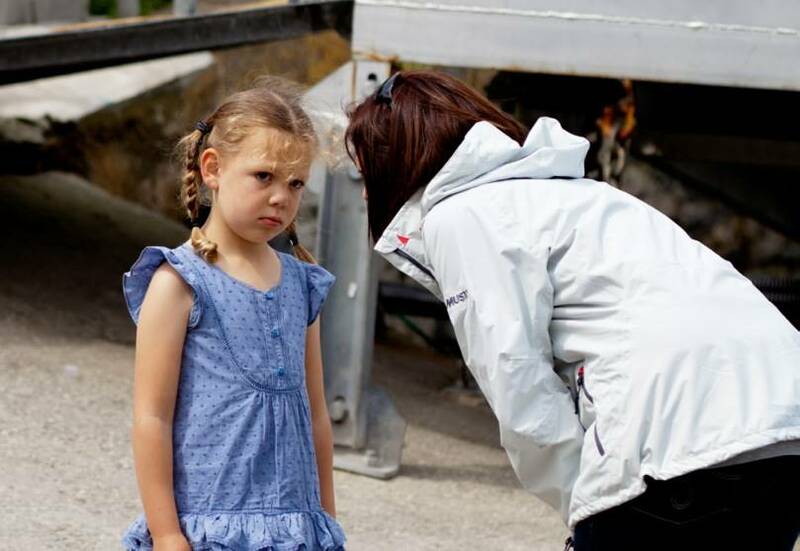 If you are feeling like your child doesn't listen, or doesn't always listen, think about what you could change, what things you could do differently, teaching them to respect you. Because if they don't, there needs to be consequences that helps them understand when mummy says something, this isn't negotiable, this is how it is and they need to listen. And if not in that moment, one day it could really, really matter. And remember, you are the parent, you set the boundaries, not them! If you don't know what to change, or how to do things differently, then pray. Ask God for wisdom, because he knows your child more than anyone else. I prayed and I believe thinking of the counting strategy in that moment, that I'd not used before, was a direct result of my prayer, and it has worked wonders!